How do we distinguish between human wisdom and godly wisdom? What are the differences? How do we know how to exercise godly wisdom in our decision making and discernment? This week, I like to reflect on this. Let me begin with a case study to get the discussion going. A Christian community has been meeting at a rented hotel meeting room for many years. Each time they meet, they have to turn a big meeting space into a worship hall. Faithfully each week, teams of volunteers will come together to arrange the chairs and tables, to prepare the platforms in front, and to estimate the size of the congregation that day. Some connect the power cables. Some wire up the sound equipment. Others work on refreshments while another team tests the lighting and audio visual equipment to make sure that they are working well. Within an hour, the large rented hotel room turns into a sparkling worship hall, ready for the morning worshipers to arrive. Unfortunately, the logistics team are getting smaller by the months, with more and more team members leaving town for work purposes or study matters. It is also difficult to recruit new members as not many people are willing to come early to do the set up. So the leadership decides to assign someone to look for a more permanent property. In this Church, Board decisions are made according to a majority vote process. To buy or not to buy? A Splitting Question. Desmond volunteers to start the process rolling. One day, while walking the neighbourhood, he notices an old Church building with a "For Sale" signboard. After some inquiries, he excitedly shares the information with the 15 member Board of Directors. The reception is mixed. Soon, the chairman calls for a vote. Seven members vote YES, saying that the timing and the location is nothing but perfect. This group says: "It's God's will, timing and providence for us to go ahead!" Another seven members of the Board vote NO, saying that they cannot afford the high price. They say: "We must be prudent with what God has given to us." The chairman is now stuck with the deciding vote. What should he do? If he votes YES to the purchase, he will be committing the small Church to a large financial commitment. Moreover, the congregation is not growing at all with numbers tapering downward each year. If he votes NO to the purchase, the logistics struggle will only get worse. Either way, by casting a decisive vote, he will be splitting the Board, and potentially cause a Church split. If he abstains, the matter will be not resolved anytime soon. Worse, he will be criticized for his indecision. B) All Wisdom is God's Wisdom? No one will envy the chairman's position. In fact, many of us will sympathize with the position of this chairman. 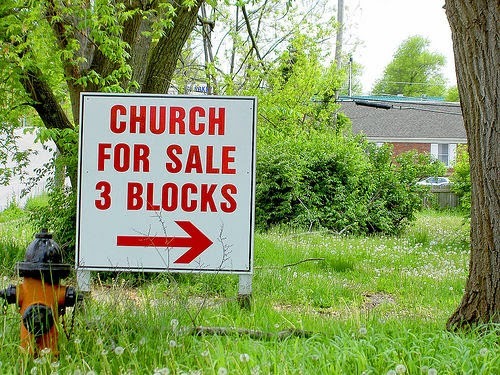 Churches have split over issues like this. In both situations, there are benefits as well as risks. Both perspectives are valid, and the chairman is unable to tell which decision is more godly than the other. He struggles with the understanding of human wisdom and godly wisdom. Confused, he even wonders if there is any difference at all in the first place? "Is it not true that all wisdom is God's wisdom?" Looking at the Church in Corinth, Paul is concerned about divisive elements happening within the Church. In 1 Corinthians 1, there are personality factions taking shape within the fragile Church. It is so easy to break up the Church. It is not so easy to unite the Church. Here lies the first sign of human wisdom. Human wisdom alone has the tendency to follow after human principles and human preferences. When people use the "All Wisdom is God's Wisdom" argument, they can sometimes use the Name of God to justify their own version of human wisdom. This is dangerous. 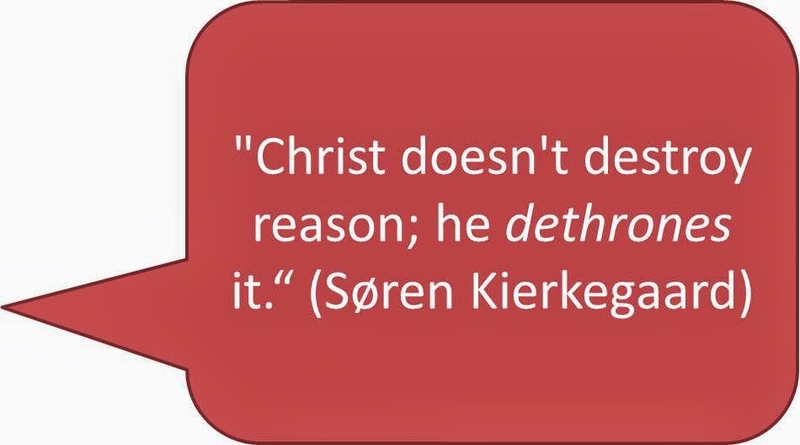 False prophets often use such arguments to push their personal agendas. Consider two examples. Harold Camping has previously predicted that the end of the world is going to be May 21st, 2011. Using his skills in number crunching, he manages to convince many of his own followers to liquidate their assets and to prepare for the coming of Christ. As the amused rest of the world watches the day pass without much fanfare, Camping's credibility take a hit. Other false prophets like Ron Weinland has predicted at least two dates, both of which are false. The mass media often publicize such predictions in a way to laugh at the incredulous nature of end-time predictions. The truth is, no one will know for sure when the exact last day will be. It is precisely for this reason that we ought to focus less on the prediction but more on the preparation. Human wisdom will tend to predict and easily give in to fear of the worst. Godly wisdom will bring assurance of faith and lead one to prepare regardless. KEY: The phrase "All wisdom is God's wisdom" must be understood carefully. Wisdom is only God's wisdom when it is under the Power of the Holy Spirit. We can adopt scientific prowess and technological know-how to predict the weather patterns, the environmental shifts, natural phenomena, and earthly events. Although one cannot be absolutely sure about the results, the sophisticated data collection and informational analyses can give us an idea of the trends. Predictions can be fairly accurate in some cases. Such is the level of human expertise and scientific advancement. Note Paul's letter to the Corinthians that he came not with "wise and persuasive words" (to predict with human strength) but with a "demonstration of the Spirit's power" (for us to prepare for). The purpose of it all is in verse 5, where faith must depend on: Not human wisdom but God's. Remember that Paul is a powerful orator as well as a famous solicitor. He has the legal mind to argue point for point. He has the oratory skills to convince. Just look at the letter to the Romans and readers will be amazed at his powerful grasp of logic and rhetoric. Yet, Paul chooses to submit his own measure of worldly skills and wisdom under the umbrella of God's wisdom. This leads us to the next understanding of the difference between human and godly wisdom. Sometimes, we read "human wisdom" and "godly wisdom" as if they are on opposite ends of the spiritual spectrum. That is most incorrect. It is common to hear about people saying that they have "godly wisdom" and that alone can do away with any semblances of "human wisdom" in the mix. The problem is this. If we dichotomize wisdom into human vs godly in such a manner, we are going to have problems in knowing which is which. Is God's wisdom only restricted to Christians? I think not. Remember how God uses Gamaliel to speak wisdom to an increasingly worked up mob of Pharisees and Sadducees in Acts 5:35? Is there no benefit in human wisdom? I think not. See how the applications of wisdom have been made in many different religious groups. The Buddhists and the Hindus; the secularists and the atheists; all of them have people who are able to make decisions that can be considered wise. After all, didn't we read that we ought to pray for leaders to lead and govern wisely and well? Is there such a thing as "human wisdom" vs "godly wisdom?" Maybe, but that is not the point. The point is this. Paul writes about the need for our faith to rest not on human wisdom, but on the power of God. This does not mean getting rid of human wisdom altogether. It simply means not letting our allegiance "rest" on human means, but to depend on the Spirit's power. This means that the Spirit can choose to use a spiritually discerned version of "human wisdom" as a way to demonstrate the Spirit's power! Just look at some of the clues Paul leaves behind. I have italicized the words for emphases. God's wisdom is revealed to us: "these are the things God has revealed to us by his spirit." God's wisdom is love: "... the things God has prepared for those who love him." These are some of the ways we can discern God's wisdom at work among human wisdom. Another important point about the relationship between God's wisdom and human wisdom is to ask who is servant to whom? The latter (human wisdom) must be servant to the former (Christ). Søren Kierkegaard, the Danish philosopher once said, "Christ doesn't destroy reason; he dethrones it." This is critical to our understanding of spiritual wisdom. The Greek word for 'wisdom' is 'sophia," from which we derive our common words like sophistry and sophistication. We cannot simply say that sophistication is bad. No, sophistry can be used to deceive, but it can also be used to persuade righteous behaviour. Just like the use of a knife. It can serve us well to cut meat and vegetables for cooking purposes. It can also be used to kill and take a life. It is not the goodness or badness of the knife at stake. It is the way it is used under the hands of the person. In the same way, wisdom under the use of an evil person will be cunning deception. For a righteous man, wisdom can be used for the good of people. More importantly, all wisdom in this world, when subjected to the Cross of Christ, will be redeemed. Let me give one more example, that human wisdom is good but only when placed under the wisdom of the Spirit. Human wisdom is the "almost right." Spiritual wisdom is what is right and righteous. So what should the chairman of the 15-member Church Board do? Should he vote, and break the impasse? It may very well split the Church. Should he abstain, and refuse to take sides? He may very well be removed from his position and also split the Church. What then is spiritual wisdom in this case?